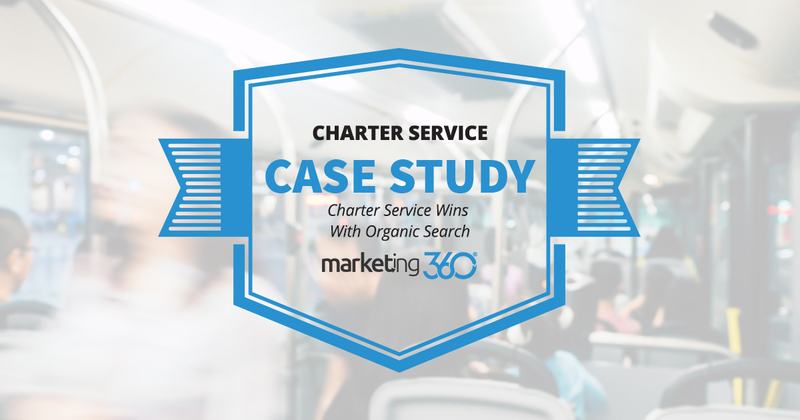 This San Francisco based bus charter service gets excellent organic results with the Marketing 360® Natural Listing Ads® SEO program. A lot has changed with digital marketing in the last few years. Social media platforms like Facebook and Instagram have assumed major roles in our digital lives. Digital advertising has taken a turn towards outbound audiences, targeting demographics with amazing granularity. But some important things have not changed. 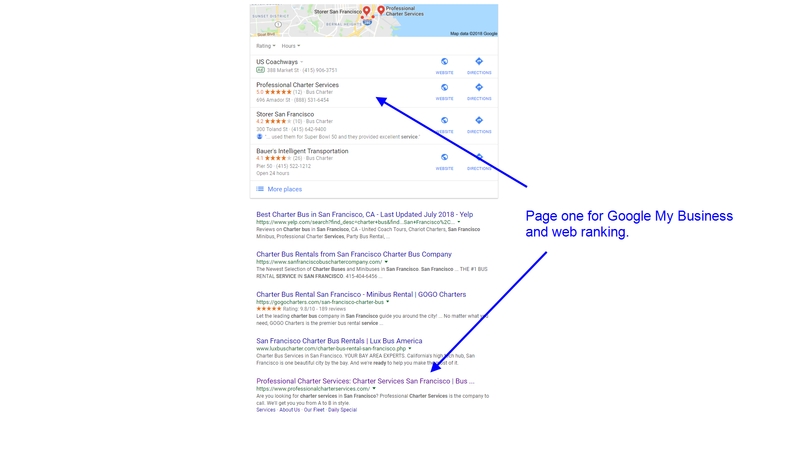 One is that ranking on page one for search is the highest ROI conversion channel. Yes, you can expose your brand and successfully advertise on social media, but good old SEO still has the best payoff for local businesses. Case in point is a San Francisco charter service. Guess what? 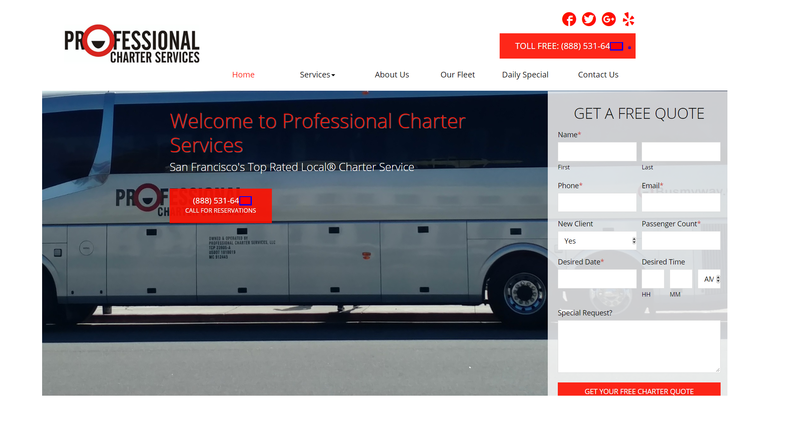 When someone searches for “charter bus San Francisco”, they’re on page one for both the Places and web results. Nothing fancy needed here. The phone number in two places and a simple request a quote form to convert visitors. The headline and sub-headline identify what they do and where they are. This is the kind of effective simplicity that results in a 12.28% conversion rate. The SEO strategy the NLA team employs is tried and true. 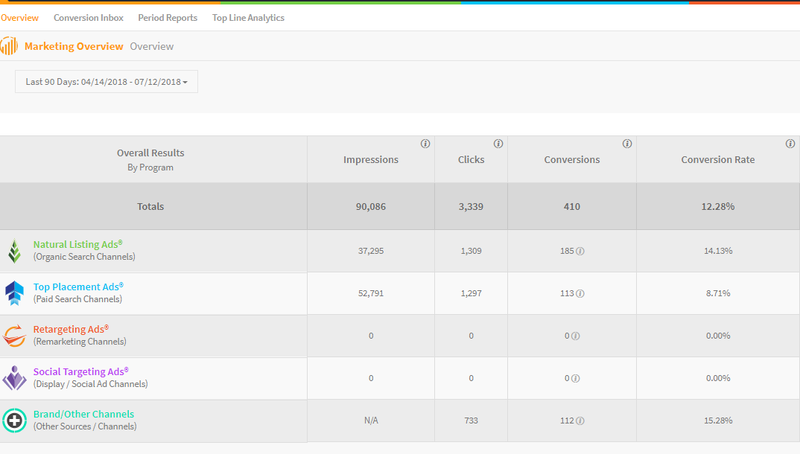 Do an analysis to identify high-performing keywords, optimize the site content for those keywords, and keep adding optimized content to maintain that ranking. Do you need to move your website up to page one ranking? Contact us today. We’ve got the formula, and we can make it work for you.